This week, I wanted to comment briefly on recent news items that affect various different Star Trek eras/universes. This is sad news, as it would be with anyone. But, we can pray that Nichols’ conservators get her the care she needs, and that her family, friends, assistants, etc., work patiently with her as she deals with this condition. And, of course, we fans will continue to love and appreciate the beautiful, classy, sci-fi and cultural icon. On the movie front, Star Trek 4 in the Kelvin universe is in jeopardy. Even before Star Trek Beyond was released, the powers-that-be announced they had already started developing the next film. 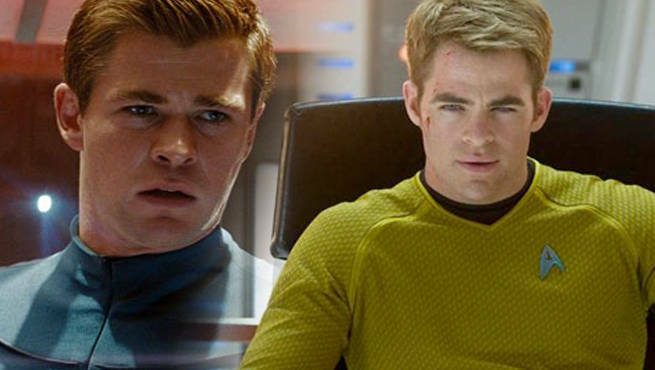 Based on an idea by J.J. Abrams, it would involve some way — presumably time-travel — of teaming James Kirk with his late father, George, played briefly by Chris Hemsworth in 2009’s Star Trek. Both actors were reportedly “on board” and had deals in place. Pine and Hemsworth are big enough stars now that they can command big money. (E.g., Pine got $6 million for Star Trek Beyond.) I don’t begrudge them that. Also, according to reports, they are merely “asking the studios to stick to existing deals. Paramount, according to insiders, contends that Star Trek is not like a Marvel or Star Wars movie and is trying to hold the line on a budget.” So, Paramount was disappointed in the 3rd film’s profits. Fair point, but whose fault was that? Arguably not Pine’s, and certainly not Hemsworth’s.